Modern smartphones are now offering users a lot more than just emailing or making calls as they are now communicating with a number of other products that we may use in our day to day lives, and the New Pioneer receivers for 2013 will offer increased smartphone integration. 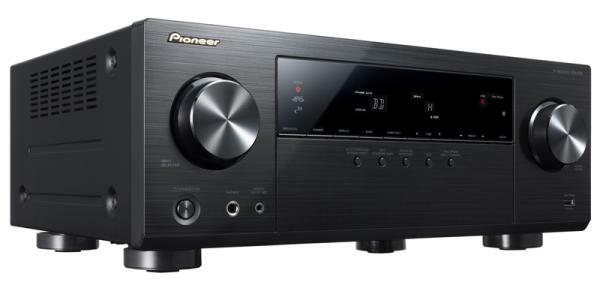 Many of us that like to watch movies on larger sized HDTVs will often purchase an AV receiver to provide a more movie theatre like experience at home, and one of the leading manufacturers in this sector are Pioneer that has recently provided details for its new line up of units for 2013. The company has announced the 5.1-channel VSX-523 and VSX-823, 7.1-channel VSX-1023, and the 7.2-channel VSX-1123 receivers that have been designed to support the connected life style that is now becoming the norm. These new models now have expanded smartphone integration for improved access to music streaming options along with improved control features and functionality. All of the new models allow iOS device users to enjoy music playback from tracks stored on their mobile devices, and will also display the album art on the TV or display the receiver is connected to. The receivers will even charge the hardware once connected and support the new Lightning connection, as well as the older 30-pin connector on older iOS hardware. They also support all the latest Pioneer Control Apps available for Android and iOS. Owners of HTC hardware can also use HTC Connect to stream music to receivers that are networked enabled, and the top three models feature Apple’s AirPlay built in. The range starts at $279.99 for the VSX-523 going up to $629.99 for the VSX-1123, and to find out more on each model hit the links above. Do you have an AV receiver and if so which make?